Holiday return policies: Some naughty, most nice. But these three big retailers — Amazon, Walmart and Target — make holiday gift returns easier. Whether it’s an appliance you don’t need or an ugly sweater you won’t wear, chances are you received at least one gift you want to return. If so, you’re not alone. U.S. retailers (both brick-and-mortar and online) are expecting to handle about $72 billion worth of holiday returns this year, according to estimates from the National Retail Federation. That’s 10 percent of their total holiday sales. “Some retailers this year have tweaked their return deadlines — some a little longer, some a bit shorter, and a few even added novel features to their return procedure. But most return rules have remained about the same as last year,” said Edgar Dworsky, founder and editor of Consumer World. Follow the rules and you should have no problems, Dworsky said. But those rules vary from store to store, so you need to read the fine print, which can be thousands of words long. Many retailers continue to offer extended holiday return windows, allowing gifts purchased in November to be returned until mid- to late-January, except for electronics which are generally subject to shorter return periods and restrictions. And if the package is opened, your return rights may be limited. My number one tip is to take back your return items in pristine condition with all the packaging and tags, and with a receipt or gift receipt. Amazon will pay the return shipping on items purchased using Alexa. Items purchased on Target.com can be returned for free. Walmart customers can start the return process by scanning their receipt on the Walmart app and then head to the in-store express lane. Target REDcard holders get 30 extra return days. Bed, Bath & Beyond ended its no-time-limit return policy. It’s now one year. Many retailers have shortened the holiday return window for Apple products to 15 days starting on Dec. 26. This matches Apple’s standard corporate return policy. While most holiday shoppers decide where to buy based on price, quality and selection, 32 percent of those surveyed by the National Retail Federation (NRF) said return policy was an important factor, significantly ahead of customer service (26 percent). Return policies are very important to online shoppers, according to a recent survey by Voxware, a technology company that helps retailers manage supply chain issues. Ninety-five percent of the respondents said the way an online merchant handles returns does influence their decision to order from that company again. “The returns process remains a critical component to ensuring customer loyalty and maintaining a positive brand reputation,” said Keith Phillips, President and CEO of Voxware, in a statement. Return fraud is a huge problem and retailers consider that when they set their holiday return policies. The NRF expects fraudulent holiday returns to hit $6.5 billion this year. To reduce return fraud and stop return abuse, some chains now require a driver’s license or some other form of ID before they’ll take something back without a receipt. That way, they can enter this information into a database to see if you’re a serial returner, someone who has a track record of buying things and returning them. Despite the challenges created by returns, some retailers continue to have incredibly generous policies, while others make it a real challenge or impossible to bring things back. Consumer Reports advises its readers to shop at stores with generous return policies and avoid those that don’t. To that end, the editors analyzed 21 national retail chains and categorized their return policies as best and worst. No surprise that Nordstrom, L.L. 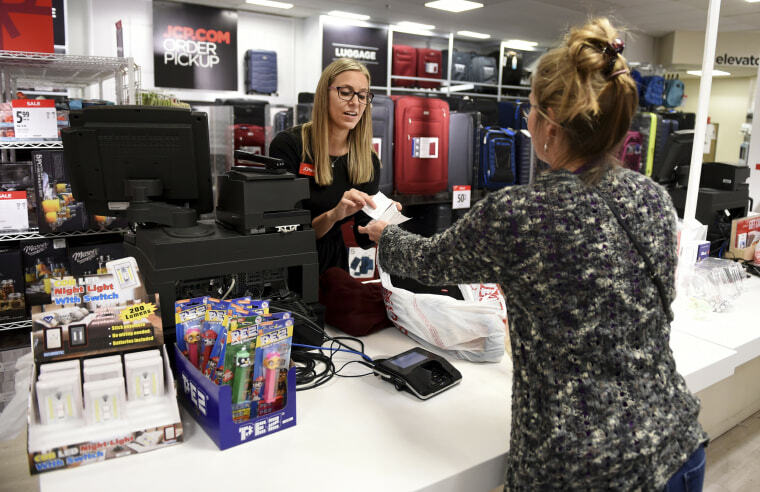 Bean, Costco, Eddie Bauer and Zappos made it on the best list, but so did JCPenney and Kohl’s (their “hassle free” return policy has no time limit, except for electronics). On the “tough for returning gifts” list: Sears, Kmart, Barnes & Noble, Best Buy (a 15-day return window for most items, except for Elite members and there’s a 15 percent restocking fee for drones and some digital cameras) and Apple (if the item is valued at more than $750, you’ll wait 10 days to get a refund check).